OWH Stars and Stamps (Our OLD blog! ): Bloghop thank you...plus some introductions! There are no words to thank everyone enough for the Memorial Day bloghop this past weekend! The creativity, the stories, the inspiration, the passion....the bloggers were amazing! And all of you hoppers—the comments left on the blogs have been so touching! Thank you for your kindness in sharing your encouragement! We want to introduce our blog admin team for this S&S blog — these bios are also going to be posted on the "About the blog circle" page (link at right), as well as email links to send any of them a note. These ladies are incredibly dedicated to making this blog helpful to us all...they aren't responsible for creating the content, only for recruiting it from all of you, and posting it here! Please help them out whenever you're able...suggestions are welcome! Click on their names to see their blogs! Hi everyone! 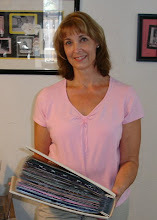 My name is Karen Howard and I'm the crazy voice behind the OWH Stars and Stamps Sunday Sketch Challenges. I'm honored to be creating cards for our nation's heroes and LOVE sharing my creative ideas with all of you! I started my creative blog, Feline Creative, in the fall of 2009 in order to share my creative projects with others and to participate in all the awesome OWH bloghops. I'm so glad I did because I love playing along in all the amazing challenges. Hi, I'm Kate, and I'm proud to be organizing the Tuesday Tutorials for OWH. My background is corporate training, and I am enjoying the opportunity to combine some of those skills with my favorite hobby to benefit an organization I really believe in. Opie, Mimi, and Tabby and I live just a few blocks from the runway at Barksdale AFB in Louisiana. I've been stamping for about three years, and you can see some of my work over at hellofromkate.com. Please let me know what you'd like to see in the tutorials, or if you'd like to be part of putting one together. I'm enjoying learning something every week. I hope everyone else is too. Hello from sunny Arizona, my name is Jan and I think I need a 12 step stamping recovery program! One of my passions in this life is rubber stamping and creating cards. I'm hopelessly addicted to rubber stamps, digi stamps, coloring, challenges, etc. If it has to do with card making... I'm in! I've been crafting most of my life. My Mom taught me how to sew when I was a little girl, we spent countless hours together sewing clothing, mostly for me! My Grandma was also a seamstress and taught us how to knit and crochet (I failed at the crocheting part). My Grandfather's were wood workers with shops in their garages so I think I come by this craftiness pretty naturally! I'm happy to be part of Operation Write Home and I'm excited to be working with the team doing the Midweek Throwdown challenges! My Dad was a WWII veteran, I have an old scrapbook from the 1940's full of their photos, letters, Western Union telegrams and lots of memorabilia. Letters to and from our service people are one of the ways we keep our family legacies alive. That's why I'm here with Operation Write Home, to keep the legacy alive. Mom to our mascot Ciara, shipper for the west coast, and chief cook and bottle washer for OWH, I keep busy wrangling stampers to feature each week! By day I'm a graphic designer, a field I've been in for, oh.....a lot of years! I've been creating things since I was a little kid - I've always been drawing things and playing with paper. (I did some stints with needles, threads, and yarns but that's passed!) I started doing a lot of cardmaking in the late 90s for a ministry I participated in, and when that ended, I needed another place to give away my overabundance of cards - our heroes are the perfect recipients! I spend most of my spare time on OWH and crafting, and during downtime my favorite indulgence is some quality time with my Copic markers! As a special treat—and to help us all go back to find "that blog with the thing that was so cute, you know the one..."—we've created this compilation of all the stops on the hop! You'll be able to view the thumbnail of a card that will remind you which tutorial you were looking for, or perhaps show you a sneak peek of a blog you missed so you can visit it. The original start of the bloghop: click here. VERY COOL! thanks so very much, you guys FREAKIN ROCK!!! Oh my gosh, this is awesome! I didn't make it all the way through, but hope to keep hopping this week. Thanks for adding these pics. Wow Sandy! Thank you, this is so neat! Oh... this is so great! Thanks very much. In fact, I created a file on my own as "OWH Bloghop inspiring cards" and saved it on my computer while I was writing my comments on every blog. That's why It took me longer time to complete the bloghopping but it was worth doing it. I can look it up anytime. Love the thumbnails. There were soooo many amazing stories and cards. It was a very inspirational weekend. Thanks for introducing the admin team and for posting the links to the blogs. Wow, a list of all 150-odd blogs... that must have taken forever to compile! I never did get all the way through the list - there were just so many good things to see! This is awesome (and could be made into a poster!). Great idea! Thank you! You ladies always go the extra mile, and then you came up with something as fabulous as this! What a fantastic idea!!!! Now I can go back and pick up on what I missed!! Heartfelt thanks!! Thanks for the gallry of blog hop cards. It will make it so easy to find things I want to take a look at again. Love the thumbnails! What a great way to get the creative juices going...so many ideas to inspire me! I completed the blog hop, but now I have a shortcut to see the cards! Wow It totally rocks that you did this...I already see one blog I have to check back on because it reminded me. Glad to finally see who is behind the scenes at OWH...I had my suspicions because I was getting some regular comments by these ladies!! Thank You ALL so much for this great mission!! so much beauty! gosh, my heart is soaring with pride! I am still hopping away, and it will probably take me the rest of the week to finish, but it will most certainly be a pleasure cruise as I visit each of these lovely places! thank you so much to everyone! and thank you again to every one of our troops who do so much every single day! we love you all! Thank you so much for these thumbnails. Is that ever helpful!! It was a great blog hop ! OMG!!!! You guys are THE BEST! I wrote stuff down in a notebook, but this really helps so much! And thank you for such a great blog hop! This is FANTASTIC! Thank you sooooooo much. Whoever thought of this must be reading minds. I have found myself wandering through posts trying to find things I know I saw, LOL, and this will be a big help! Thank you, thank you, thank you for posting these image links! I've been trying to remember where I saw which wonderful card since I hopped on Saturday. This is just great! This is incredible! How wonderful of you to do all of this work for us. I really enjoyed yesterday's email too with the information of who is behind S&S and today's! Thanks so much! Most of all, I truly enjoyed the Memorial Day Weekend Blog Hop. It was very special to read all of the stories and see the beautiful creations of cards. Nice way to honor this Memorial Day Remembrance. I just wanted you to know that I really thank you for all what you do. Great job! G-r-e-a-t!!! Oh wow- the pefect reference! Already I was sitting here going, "now where did I see that. . . . ???" Thank you so much! And just look at all of that fantastic red white and blue goodness!!! I was out of town so didn't get to do this but love seeing what was done. I hope I can do this next time. Such awesome work ladies! And to all the Behind-The-Scenes Ladies, thank you for all that you do! PERFECT! How did you know this is what I needed??? Now I can find the blogs that I didn't have time to really check out. You know the ones that I wrote down and then lost the note! You ladies really rock! Thanks for doing this! It is great to be able to review everything!